Electronic outfit Blancmange emerged during a particularly energetic period in the UK’s classic synthpop scene. Originally formed in 1979 as a 3-piece outfit, Blancmange regrouped with Neil Arthur and Stephen Luscombe continuing as a duo. Their first release was the Irene & Mavis EP in 1980, but it was Blancmange’s appearance on the iconic Some Bizarre Album in 1981 (alongside the likes of Depeche Mode, Soft Cell and The The) that really focussed attention on them. Signing to London Records soon after, the pair embarked on chart success, particularly on the back of ‘Living On The Ceiling’ which managed to reach No. 7 in the UK charts and became an international hit. Happy Families, Blancmange’s 1982 debut album, is perhaps one of those albums that can be considered one of the true classics of the synthpop period. At times quirky and surprising, the album often combines some unusual instrumentation (including tabla and sitar) alongside some evocative pop melodies and a smooth, warm production care of Mike Howlett (who had also worked his magic with the likes of OMD and China Crisis). Edsel’s decision to release the (almost) definitive editions of Blancmange’s first 3 albums is a welcome one. Happy Families had previously been reissued by Edsel in 2008, with some other compilation releases appearing in the same period (although there were some critical comments about the quality of some of these releases). Blancmange also issued A ‘reimagining’ of the album, Happy Families Too… in 2013. Now with the release of The Blanc Tapes, each album is presented in a wonderfully designed book format that features commentary from Neil Arthur alongside lyrics, photos and credits for each release. 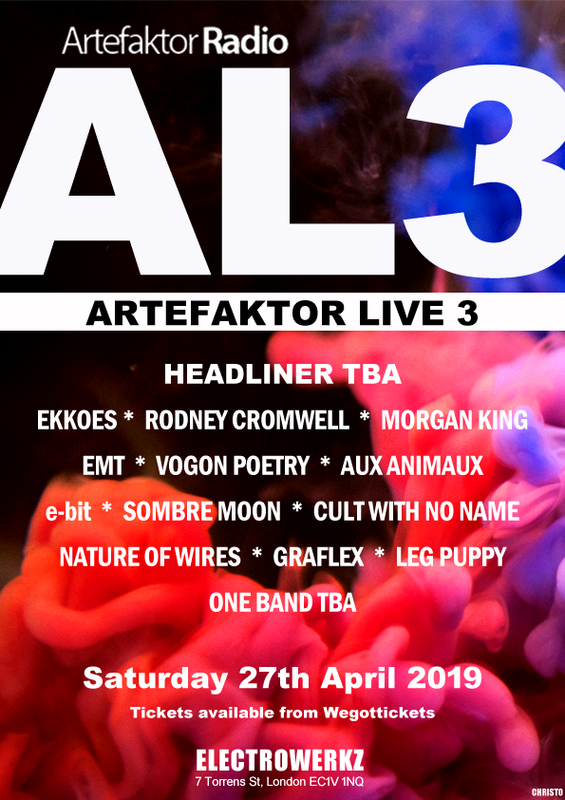 But the real magic is that each album is showcased across 3 CDs per release, featuring bonus tracks (including some previously unreleased demos), B-sides, BBC sessions and period live tracks. As an album, Happy Families presents a solid collection of synthpop that embraces a warmth and charm with a curiously English flavour. It’s an album that encompasses both bittersweet moments as well as energetic pop. There’s an odd melancholia at work on the wistful tones of ‘I’ve Seen The Word’ and the instrumental ‘Sad Day’. Meanwhile, the powerful ‘Waves’, complete with sweeping strings, still remains one of the album’s finest moments. For the bonus tracks, things get interesting. There’s alternative versions of the classics, such as ‘Sad Day’ and the original no-strings version of ‘Waves’. But there’s also previously unreleased tracks and demos which is where the keen Blancmange fan is going to mine for gems. To be fair, many of these have been pulled from cassettes rather than master tapes, which might raise quibbles from audiophiles, but the choice between sound quality and being able to listen to these tracks is a good compromise. As a result, there are intriguing oddities, such as the baroque electronica of ‘Black Bell’, whose rawness lends the instrumental a particular charm. ‘Melodic Piece’ gravitates between a pastoral reverie and a nod to the Germanic school of electronic music. Elsewhere, ‘Holland’ starts off with spacey synth sounds before a chugging guitar joins in. ‘Your Hills’ (which had originally been part of Happy Families’ track listing) sounds at times like some lost indie pop composition fronted by Ian Curtis. The BBC Radio 1 session includes the wonderful ‘I Would’, whose empathic rhythms and Arthur’s strident vocal showcase a lost classic. The delicate ice-pop of ‘Running Thin’ (another track jettisoned from Happy Families original concept) also features. At times, it may be difficult to imagine any of these raw tracks sitting alongside the rest of Happy Families. Yet the comparisons between the demo versions of tracks such as ‘Waves’ and ‘I’ve Seen The Word’ are a world away from the polished versions that appear on the final album. We’re left to imagine what fully formed versions of some of these ‘lost’ tracks would sound like. The design of the whole package is exemplary. The wonderful Louis Wain-inspired sleeve art by Michael Brownlow is present and correct, while the book itself shows an eye for retaining the original design esthetic down to the typography for the text. The press response to Happy Families in 1982 was mixed at times, particularly because Blancmange were shifting from an experimental outfit to a much more pop-orientated affair. NME summed up the album as “…the flaws are minor and the merits are major”. Interestingly, Julian Cope, who was in the middle of the collapse of The Teardrop Explodes at the time, remained singularly unimpressed with Blancmange – and Happy Families in particular. It probably didn’t help that it had been sold to him as “like Scott Walker”. In Cope’s autobiography Head-On, he comments on his response to Happy Families, which was to set the record on fire and skate around his kitchen on it before nailing it to the kitchen wall. Critics! Happy Families is available via Amazon. Blancmange’s sophomore album Mange Tout arrived in 1984 and was a more or less painless segue from Happy Families through to a bigger and bolder sound. Most of this is due to the production chops of veteran producer John Luongo. ‘Blind Vision’, for instance, introduces a brass element to Blancmange’s palette of sounds, alongside a more muscular percussion. ‘My Baby’ also delivers another classic Blancmange moment, again augmented by brass additions. But the album also introduces some surprises, such as the acoustic ‘Time Became The Tide’. Here string instruments provide the foundations for Neil Arthur’s front and centre vocal delivery. Arthur appears to cast a nod back to the ocean motif that had informed Happy Families’ ‘Waves’, here referring to “Waves don’t often mean their anger”. This simplified approach to song arrangement is taken to its logical conclusion with ‘See The Train’, which is a purely vocal track. But the album’s finest moment has to be ‘The Day Before You Came’. Here, Abba’s classic song takes on a particular English kitchen sink drama appeal (The trumpet refrain of the theme song from Coronation Street being a particularly apt addition). Once again, 12” and extended versions get included into the mix along with the album’s choice B-side tracks. This includes ‘Vishnu’, which takes Blancmange’s Indian inspirations to their logical conclusion on a sparkling immersive composition. ‘Heaven Knows Where Heaven Is’ (B-side to ‘Blind Vision’) meanwhile, is another sumptuous Blancmange number – an instrumental that’s all clean lines and captivating melodic flourishes. Also along for the ride is Heaven 17’s Martyn Ware, with a demo version of ‘Blind Vision’. It’s an unusual take with an insistent electronic percussion offset by ghostly electronic effects that wash in and out. Those curious to hear an electronic version of ‘Time Became The Tide’ can also enjoy the dreamlike tones of the (instrumental) demo included here. Meanwhile, ‘It Never Rains’ is a slow-burning number with its choppy electronic rhythms and synth chords. There’s also a version of ‘All Things Are Nice’, which originally appeared on the 12” release of ‘The Day Before You Came’. Here, a spoken series of lyrics present some wry observations on everyday life (and were apparently penned the day after Margaret Thatcher returned to power in 1983). 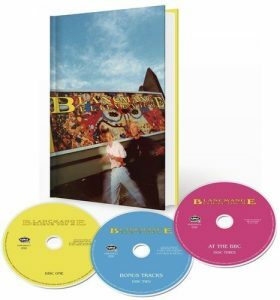 The third CD features a 1983 Radio 1 session along with a live recording culled from Blancmange’s 1984 performance at Hammersmith Palais. Mange Tout is available via Amazon. While Believe You Me is an album that boasts some fine moments, it’s probably safe to conclude that the 1985 album is the weakest outing for Blancmange during their classic era. That it also coincided with a downturn in the public interest in electronic music didn’t do it many favours either. Single release ’What’s Your Problem?’ is serviceable synthpop, but perhaps lacks the dynamism that earlier Blancmange outings offered. There’s elements that suggest mid-period Heaven 17 here (another outfit that were to suffer from the law of diminishing returns after a bright start). At the time, Luscombe and Arthur had embraced the use of MIDI, BBC B Computers and UMI sequencers, which allowed them to take their demos into the studio. In fact, for ‘Lose Your Love’, one segment was so difficult to reproduce on the studio’s Fairlight that it was simply lifted wholesale from the demo. ‘Lose Your Love’ is certainly one of the more punchy moments on the album. It also launched as a single with an energetic furniture-smashing video that ended up being banned from UK TV for, as Arthur explains, “’inciting violence in the home’. Because we were smashing up things. It was ridiculous”. The use of cello and flute on ‘Why Don’t They Leave Things Alone?’ lends the finished piece a quiet quality, a track that offers up one of Believe You Me’s finer moments. Meanwhile, ‘Lorraine’s My Nurse’ sees the outfit adopting a similar strings and flute arrangement that had worked so well for Mange Tout’s ‘Time Became The Tide’. The result is a wonderfully baroque outing. The album closes out with 2 instrumental numbers, of which, the piano-led reflective piece ‘John’ is perhaps the best track. Among the bonus tracks is ‘I Can See It’, which is essentially an extended version of ‘Why Don’t They Leave Things Alone?’. Also a 10min+ remix titled ‘Mixing On The Ceiling (Megamix)’ featuring several Blancmange moments (including ‘What’s Your Problem’, ‘The Day Before You Came’ and ‘Living On The Ceiling’). Meanwhile, Demo track ‘A Remedial Course’, offers a brooding slice of synthpop mood music. Elsewhere, ‘River Of Life’ has a squelchy electronic appeal to it. There’s a surprise in the form of a simple yet effective cover version of Glen Campbell standard ‘Gentle On My Mind’. Subtle electronic effects tinkle away driving the composition, but it’s Neil Arthur’s confident vocal that carries the moment. This cover suggests an attempt at lightning striking twice after the band’s success with ‘The Day Before You Came’, but it’s got a particular magic all its own. The third CD features the requisite Radio 1 session and a BBC In Concert performance from 1986 at Hammersmith Odeon. Believe You Me is available via Amazon. As ever, this collection can’t encompass everything from the period. As a result, some alternative mixes and tracks such as ‘Ecstasy And Electricity’ (which originally featured on a cassette given away with Electronic Soundmaker magazine in 1985) are missing. Meanwhile, the Irene & Mavis EP enjoyed its own reissue in recent times (and arguably sits outside of this particular period of Blancmange history anyway). Blancmange continue being an active force, with the release of 2011’s Blanc Burn album. A new album, Unfurnished Rooms, arrives this September. 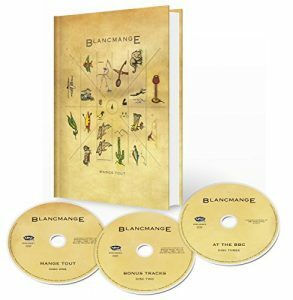 Amazon issued a limited edition of The Blanc Tapes in a boxed set along with a signed print, although the albums are available in individual editions for discerning Blancmange fans. In essence, Stephen Malins and Blancmange have done an exemplary job at assembling these reissues and they provide the perfect archive for Blancmange’s often-overlooked musical legacy. The Blanc Tapes are out now on the Edsel label.